Dr. Mark Hagigi, a graduate of New York University College of Dentistry, takes extreme pride in delivering best aspects of Dentistry in a caring manner yet at affordable price to his patients. He is best known by his patients for his friendly, caring approach trying his best in putting them at ease in the dental chair and alleviating any anxiety. 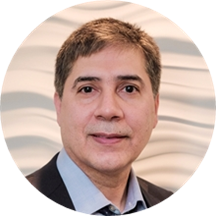 With constantly taking courses and updating himself with the latest aspects of Dentistry and having years of experience as a leading Family and Cosmetic Dentist, Dr. Hagigi has helped many patients to restore their smiles to full health and beauty, and he is looking forward to do the same to his new and incoming patients. Dr Hagigi's office, Montgomery Dental Associates, a truly state of art facility located in a very modern setting has been serving people of Montgomery County, Maryland from 1990. Great Dentist and all around great person. Dr. Mark is really good and was very detail about everything during my visit. However the front desk lady was very rude and not helpful at all. I hope the management better trains her well in talking to people. I amdefinitely gonna stop visiting the place if she continues her way. The office has some very good equipment and the doctor is very nice but the front desk representative was not friendly at all. My first appointment was scheduled at 3:30pm but I never got any confirmation message and when I getthere, the lady said my appointment was 3:00. I showed her the appointment on my app but she said that time was not accurate and she seems not very happy about that.